We got here through years of steadfast work by transgender people, family members, allies, businesses, faith leaders, community organizations and supporters like you. Today we moved one giant step closer to securing full non-discrimination protections for transgender people in Massachusetts! 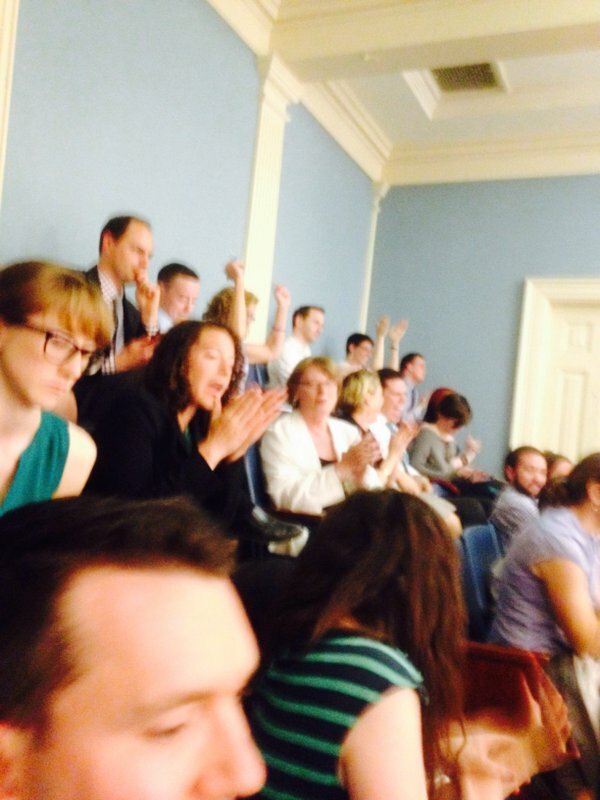 The Massachusetts Senate voted 33-4 to pass the transgender public accommodations bill. Cheers erupt in the Senate gallery upon passage of the bill. Our sincere thanks go out to Senate President Stan Rosenberg for his leadership, and to every senator who chose to stand for equality today. This is an incredible moment. And we got here through years of steadfast work by transgender people, family members, allies, businesses, faith leaders, community organizations and supporters like you. I’m proud that GLAD is a member of the Freedom Massachusetts coalition that has been fighting to make this legislation a priority, and I’m so grateful for everything you have done. I’ve never been more energized in this fight. We have every chance to pass this bill this year, to ensure fair and long-overdue protections for transgender people, and to make Massachusetts a leader once again in achieving equality for all. Together we have built up tremendous momentum, but we can’t stop now. The bill must next be taken up by the House, and I encourage you to urge your representatives to push for a swift vote and to vote yes when given the opportunity to take a stand. You can also volunteer to participate in a phone bank and reach out to local people to discuss the bill.